Camping on its own is a fun time and people do not generally associate it with being romantic. If you have ever been out camping, you will understand that some of the fundamentals and elements of nature do make life a little harder when you are trying to impress the love of your life. 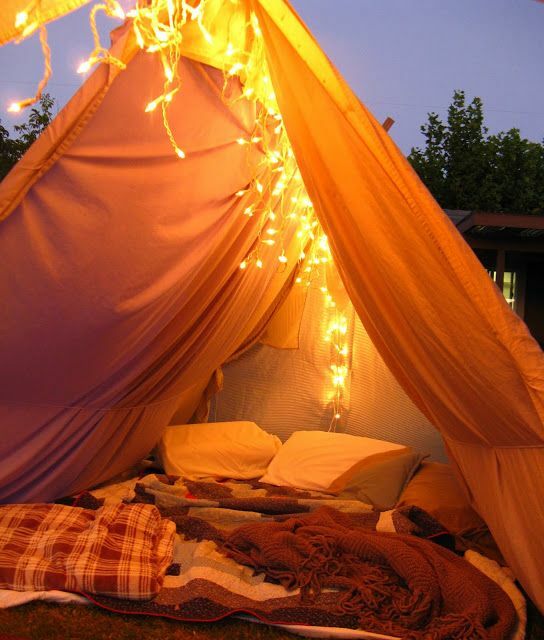 We have decided to try out a few ideas for a romantic camping with a loved one. If you are trying to “wow” them or simply just looking for a breakaway that will reignite the love flame in your relationship, these tips will definitely come in handy. Logic tells us that everything needs to be near perfect to have a full romantic camping experience and to sweep your love off their feet. 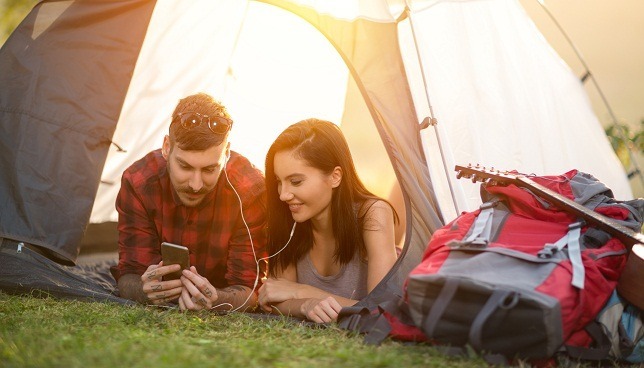 While you might not be able to control nature, there are a few things you can take control and these will all help to improve the camping experience. We fully understand that you cannot predict the weather, but the location can generally give you a good idea of the weather you expect. While some people might find it thrilling to camp in sub-zero temperatures, these are not the ideal temperatures for a romantic camping date. You should be better off picking somewhere tropical with nice green surroundings. Generally speaking, winter is not the best time of year to go camping with a loved one. Winter is generally associated with the festive season and you will be better off taking the family camping. Since camping is not a one-night thing and you will definitely want to enjoy nature as well, we recommend going in the spring time when all the plants are starting blossom and many of the flowers are at their peaks in the life cycle of nature. If you love hunting animals and you do like a thrill like camping between dangerous animals that is fine, but if you are on a romantic camping date, this might not be the best approach. Just imagine waking up in the middle of the night with your loved one and a bear is rummaging through the kitchen. Do you know how to make fire and do you trust yourself with a strike and a flint? If that is a yes, you will be okay to go camping, but if you have never set foot in nature, it will be daunting and you might not be able to create that perfect environment. 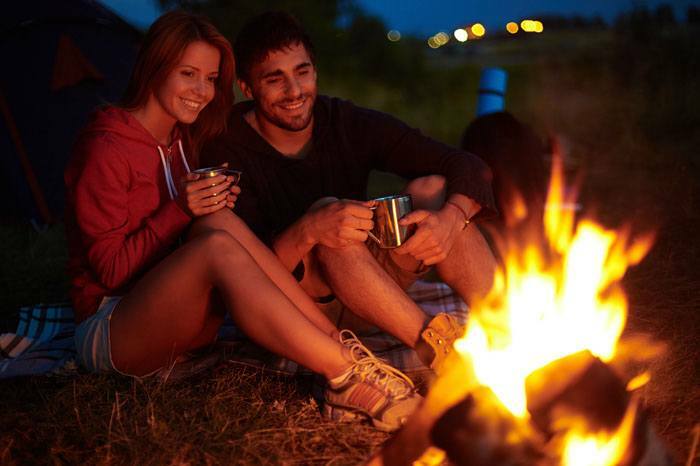 If you are not a camping or outdoor enthusiast, you can simply check out the internet and learn a few tricks to help you master the outdoors and create that perfect campfire. Nothing can be as frustrating as running out of food or water when you plan on having a romantic camping experience. Water and food can still be scavenged, but we believe that your better half would rather like some chocolates and strawberries over cooked wild rabbit if you plan on making it romantic. Rather take more supplies and return with the rest that runs out of essential items in the middle of the camping time. Yes you are important, but on your camping trip, the love of your life is the most important and having constant interruptions with bosses calling can be frustrating. We do recommend that you keep your mobile phone close by in case danger strikes, but you need not answer every call and spoil the entire trip. 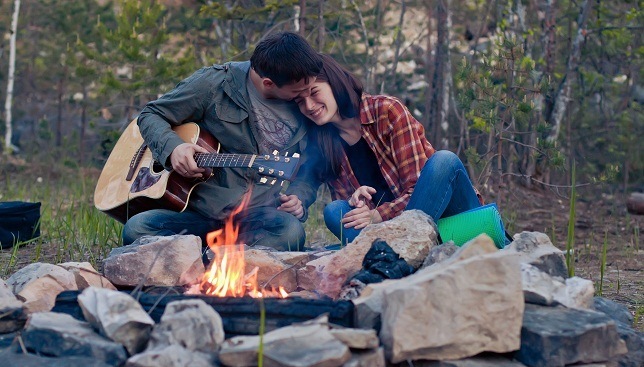 These 6 essential things should be checked off the list first when you are planning the romantic camping weekend. Once you have them checked, you can start looking at a few ideas to wow your loved one. There might be more things that you should consider like having the best tent, but these will be the most fundamental that you can do without having to pay extra or buy new stuff. 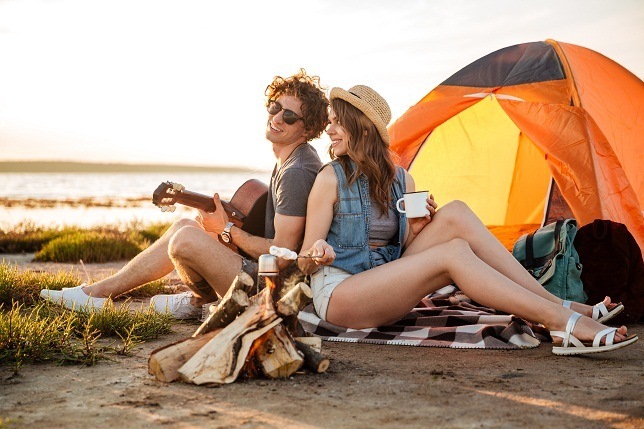 Women are the pioneers of creativity and men are still far behind when it comes to being creative, but with these ideas, both men and women can plan a camping trip that will simply sweep your lover’s feet from underneath them. We have only chosen a few, but these should be perfect for most situations. Being comfortable on your trip is really important and you will need to ensure that you can stay comfort most of the time. Adding a few comfortable liners like a comforter to the tent floor and additional blankets will not only keep you warm, but it should entice your loved one to spend more time with you inside the tent. We also recommend that you invest in a camping cot or a double sleeping bag; these can lift you off the ground and also keep the two of you away from any bugs or insects. Once your tent and bedding are fully insulated and comfortable, you will find yourself spending more time inside in the company of your companion. What will you be doing during the daytime? Sometimes it might get boring spending too much time around the campsite. Having a good thought out plan of trails and adventures that you could follow will ensure that you have something to see. If you are more experienced with the outdoor life than your partner, you could choose a few magnificent sites and things to show them in nature. We also highly recommend that you go trekking or hiking for the day and you will be ready for each other’s company and comfort at night. This is where the supplies do come in handy and you must ensure that you are fully prepared. Whether you are a male or female, nothing can get your mood up immediately as fast as waking up to a nice breakfast. At night you could wow them with a candlelight dinner around the campfire while also looking at the stars in the clear sky. We do like to recommend that you take a three-course meal approach and while this might seem like a cliché if you add some wild element to it like deer meat or even a few berries from nature, you will certainly be thinking out of the box. Sometimes it only takes little tweaks to get away from the standard clichés we all hate. With sparkling lights for camping and some songs on the radio, you could easily shape the environment and make the atmosphere more ambient. These items are generally not expensive and they are easy to find but will have a huge impact on the camping experience. We; however, recommend that you do this sparingly and not to overcompensate when you are doing it. Once a trip is nice, but do not spoil the novelty of having your loved one impressed and also knocked off their feet. Nature is one of the best things that God gave us and we do like to explore and see everything we can see once we have the opportunity to be in the heart of Mother Nature, but you should remember why you are on the camping trip and ensure that you do spend as much time as possible with your loved one of better half. This will show sincerity and not just look like an experience to go camping. If you do like to explore wake up earlier and do this, but remember to prepare that mouth-watering breakfast to get your other half out of bed and ready for that day full of adventure that you have planned. We would like to add one additional tip that you should try and employ. We highly recommend that you do try and keep the entire trip a secret and surprise your loved one. Our minds do digest surprises in a much larger fashion and something small will become something big. We hope that you now have a better understanding of camping in the wild with your loved one and how to make it a romantic. We would like to encourage you to share any other tips or ideas you have and also share your stories of romantic camping experiences.